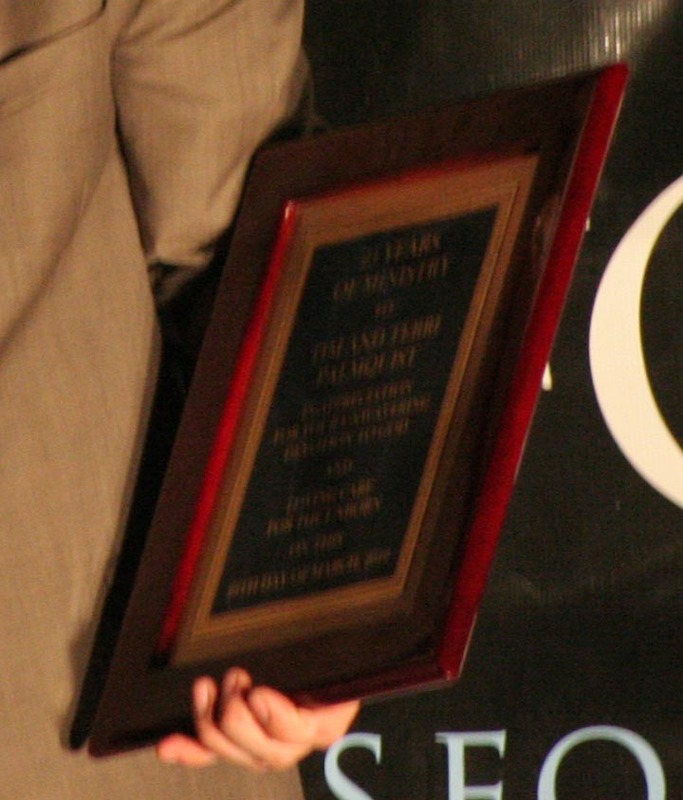 Pastor Fies presented the Palmquists with a plaque which read “in appreciation for your unwavering devotion to God and loving care for the unborn,” commemorating their 25th anniversary of ministry. He explained to Terri and Tim that a love gift had been collected. 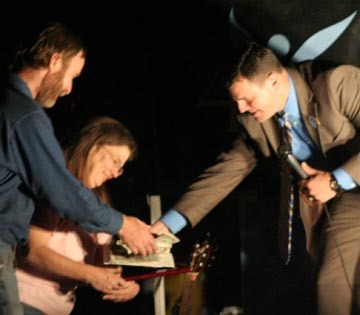 “We want you to use this to take time together for spiritual refreshment.” At Pastor Fies’ encouragement, audience members began streaming to the stage with more cash to add to the gift. Cards were also presented to the Palmquists with many signatures and encouraging words from 40 Days for Life participants. Along with Pastor Fies, Lupita Morelos and Amy Palmquist had played key roles in orchestrating this gift and presentation to Terri and Tim. 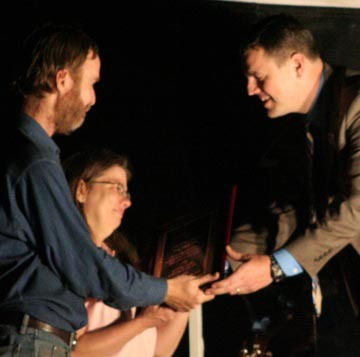 “We are blessed beyond measure to be able to work with people like all of you,” Tim told the crowd. “This outpouring of love brought both Terri and me to tears, and we were so shocked and surprised that day that we were almost speechless,” Tim later said. “I was already trying to arrange a time to get away with Terri for our 25th wedding anniversary on April 28, but it looked like it wasn’t going to be possible. Now, thanks to those of you who participated in this effort, we can have a wonderful celebration looking back at what God has done over the past 25 years and looking forward to what He is going to do in the years ahead. From the beginning, we envisioned our marriage as an opportunity to serve God and others, but the pain we have experienced through recent devastating circumstances in our family has made it very difficult to continue in ministry this past year. But in the midst of this pain, God used 40 Days for Life participants to bring us great joy.” Some plans relating to the Palmquist’s anniversary are still in progress — if you wish to be kept posted on their plans for an anniversary celebration, please call (661) 412-2291 or send a message to 40days@glorifyJesus.com with the subject “Anniversary”. Photos and more from the 40 Days for Life Closing Celebration are posted on the 40 Days for Life blog (and don’t miss our YouTube video).